The thing I loved and enjoy the most was the labs and internship it gave me the opportunity to find a dental assistant job close to home! 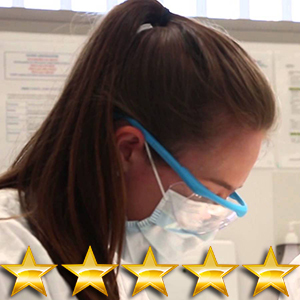 I recommend and encourage anyone who wants to be a dental assistant to take the program – it is a great experience. Taking my dental class through this school was great. The training was really good and there was a lot of hands on, rather than just reading from a book. The staff is wonderful! They helped with everything I needed to know and were very patient. Taking this program was definitely worth every penny.